This stone is in Alamo Masonic Cemetery, San Antonio, Texas. 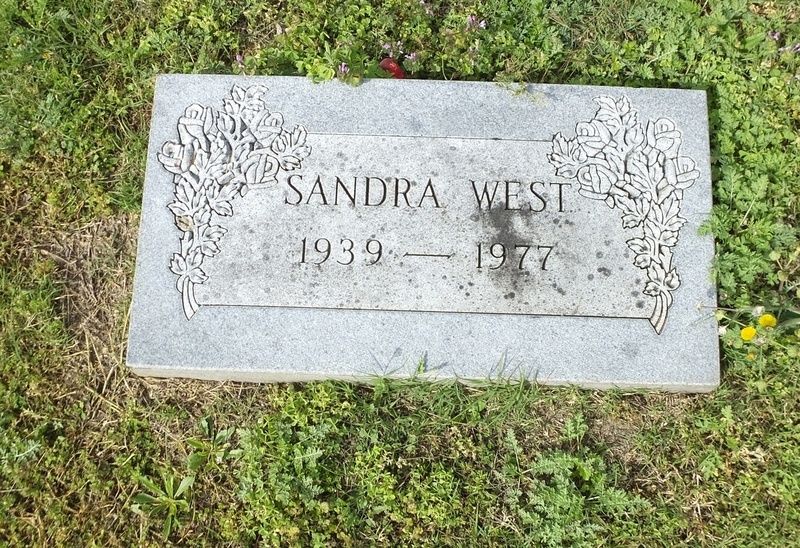 "Sandra Ilene West (January 2, 1939 – March 10, 1977), was a Texas oil heiress and Beverly Hills socialite. Her unusual burial request requested her brother-in-law, Sol West, to bury her in her 1964 powder blue Ferrari 330 America wearing a "lacy nightgown" in a seat reclined at a "comfortable" angle. 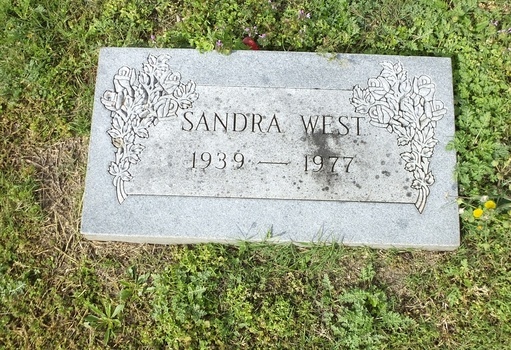 West (known by her middle name of Ilene) was married to Ike West Jr. (1934–1968), who predeceased her by nine years. She died in Los Angeles, leaving an estate of approximately $3 million. West's handwritten will was executed in California, her legal residence. The will provided that Sol West (brother of her late husband) would receive $2,000,000 if her wishes were carried out; if not, he would get $10,000. After going to court to try to get out of it, which required a two-month temporary burial, Sol West complied with West's burial request. The car and West were encased in a box measuring 6 by 8 by 17 feet, which was hauled to the grave site at the Alamo Masonic Cemetery in San Antonio, Texas on a flatbed truck and interred in a hole nine feet deep; after burial, a Redi-Mix truck encased the box in concrete. The simple grave marker does not give a clue to what is underneath." All my life (almost 7 decades) I have enjoyed old graveyards and headstones. To worn out now to seek out old places but can enjoy them here. Thanks for sharing this interesting story. Perhaps morbid in a way but true.